You can include the creepy and fun traditions of Halloween right on your front porch with this Full Moon Indoor/Outdoor MatMates Welcome Mat. Created with a recycled rubber back, this mat is environmentally friendly for the eco-conscious homeowner. The rubber back is slip resistant on most floor surfaces which makes it a perfect addition to any room of the house, and even on the front porch. This Halloween doormat is 18" x 30" when used as a stand-alone mat. 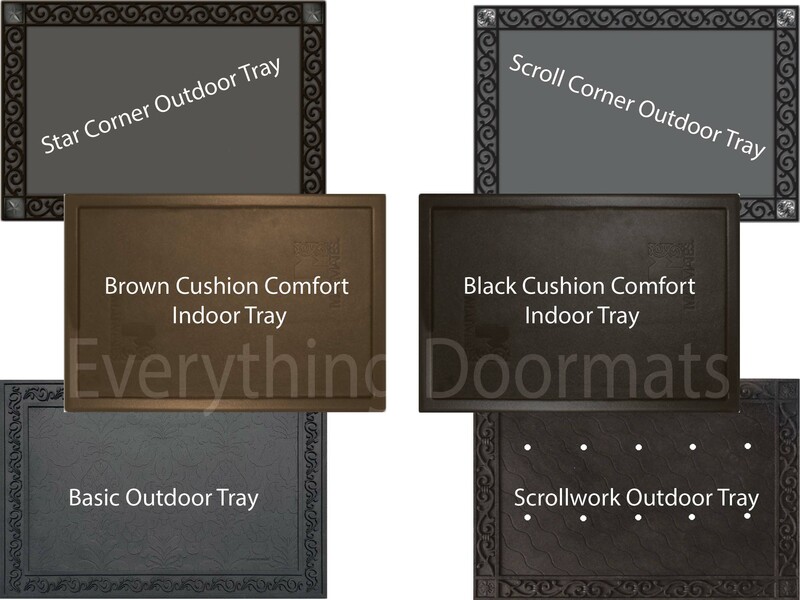 Note: The Full Moon Floor Mat is pictured in our Scroll Corner Outdoor Tray. The outdoor trays and cushion comfort trays are sold separately.